Featuring brand new Drake, Nas, Roy Wood$, and Majid Jordan. 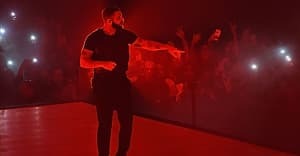 During this evening's OVO Sound Radio set, Drake confirmed that Views From The 6 is slated for an April 2016 release and premiered a potent pacesetting track titled "Summer Sixteen." But the excitement didn't stop there. Alongside his October Firm co-CEO Oliver, he also dropped a couple of exclusives (a "March Madness" remix featuring Nas and Roy Wood$ "SKRT" remake) and a 🔥🔥🔥 set. And that was only the first hour! From there, Majid Jordan took over and premiered their self-titled debut, which is out officially on February 5. Listen to OVO Sound Radio episode 14 and peek the complete tracklisting below. Max B, "I'm So High"
Future ft. Nas, "March Madness (Remix)"
Nemesis ft. Rizzla and Chillaa, "Bad Gal Like RiR"
Ayo Jay ft. Fetty Wap, "Your Number"
Frap Boyz, "All My Dogs"
Roy Woods ft. Kodak Black, "SKRT SKRT"
Majid Jordan ft. Drake, "My Love"
Majid Jordan, "Something About You"
Novelist x Mumdance, "1 Sec"
Peverlist, "Roll With The Punches"
Majid Jordan, "Chill Pad Deluxe"
Vybz Kartel ft. Popcaan and Vannessa Bling, "Clarks"
JKriv, "Queen On Her Throne"
Daft Punk, "Something About Us"
Cherelle ft. Alexander O'Neal, "Saturday Love"
Majid Jordan, "Day and Night"
Majid Jordan, "Every Step Every Way"
Majid Jordan, "Love Is Always There"